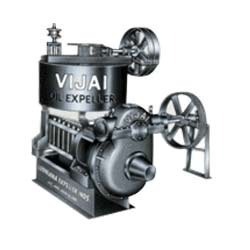 We are a trustworthy manufacturer and supplier of a superior quality Oil Expeller. Our offered expeller is widely used for extracting oil from all kinds of seeds. In adherence to set industry standard, our offered expeller is manufactured by our dexterous professionals using quality tested components and modern technology. This expeller is highly demanded by the clients due to its high performance and superior quality. Additionally, provided expeller is thoroughly tested by the quality experts to ensure its flawlessness.